The way truckers get compensated hasn't changed much over the years. But as the driver shortage expands, more companies are getting creative with their pay offerings, including a greater number of bonuses - for everything from sign-ons to retention - that only seem to be increasing in value. However, a new ruling by a U.S. District Court in Arkansas could have far-reaching implications that shakes up the industry's long-existing structure. 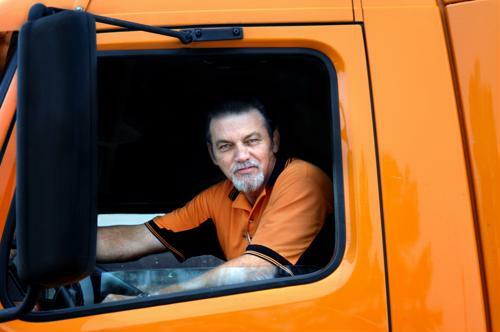 Drivers in the U.S. have basically always been paid on a per-mile basis, but the court recently ruled that pro truckers should be paid at least minimum wage for every hour they're on duty, according to American Trucker. That means that drivers can still be paid per mile, but that pay would have to at least equal whatever the minimum wage is in their state, or they could be paid hourly. It's not immediately clear how many drivers would see a pay bump as a result of the ruling, but those who get paid something like 25 cents per mile could see their pay rise significantly, the report said. That's because while drivers can spend more than half a day "on duty," they rarely drive that entire time - often spending hours in detention waiting for trucks to be loaded or unloaded. "[The court] recognized a principle that I think every driver intuitively knows, which is that when you're stuck guarding a truck, the tractor or the load, that's still work, even if you're in the sleeper berth, even if you're sleeping [that's work time] because a lot of that time you wouldn't be there if you weren't at work," attorney Justin Swidler, who represents the drivers in this case, told the site. In writing out his decision, District Court Judge Timothy Brooks noted that there isn't a lot of uncertainty about why drivers should be paid for all hours on-duty - not just mileage - in labor law, according to CDL Life. Any time spent on duty is time for which drivers should be paid, whether they're actually operating the vehicles, sleeping, eating or undertaking any other duty. However, it's worth noting that this decision is likely to be kicked to higher courts by the companies against which the suit was initially brought, the report said. With that in mind, drivers shouldn't start anticipating a broad-based change to the way they get paid any time soon. This is, however, still a victory for labor in the industry. Even as driver pay is on the rise in a number of ways, it's still relatively small in comparison with the industry's heyday of the 1970s, according to Business Insider. When adjusted for inflation, average driver pay is down by almost 50 percent from where it was 40 years ago, and that's after a few years of rather sharp growth. With all that in mind, it's important for companies to make sure their driver pay - and benefits - go above and beyond industry norms to both attract and retain drivers.